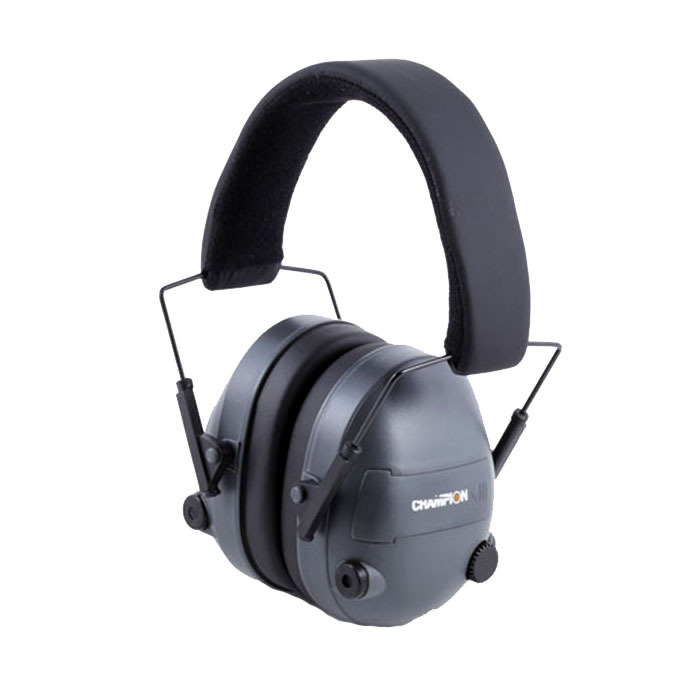 Comfortable and stylish, Champion electronic ear muffs allow you to enjoy safe shooting by reducing harmful noise levels while providing a comfortable all day fit. Adjustable padded headband. 25dB NRR.